What is the new manufacturing process that Delta Electronics challenged? – I heard that the foop project was the first time it was different from the delta electron development process so far, please tell me in detail. This time, taking a start-up approach in product development is experimental and first attempt. In the entire process of the project, Delta’s internal resources are limited, and outsourcing is a major characteristic of Delta. Research, PR, product design, social contents, and external resources, it is an independent project. It’s like making a movie production team. – Why did you choose the domestic water cultivation market? Hydroponic cultivation is not common and the market is small. However, I thought that challenging a niche topic, not major, is the real pleasure of venture mind and I thought that small ideas could have a big impact. For example, household solar panels and electric cars were not considered 10 years 20 years ago. Over the course of several decades, ideas have grown and are now making great success. – When starting the project, why did you decide to form a tag with FabCafe? When I was looking for a consultant to cooperate with the project in the cafe or fashion industry, my friend introduced FabCafe. Speaking of the concept of foop, Ms. Kawai quickly understood what we are seeking. In order to investigate the response to foop, we first installed foop prototype in FabCafe as field research. Initially, I thought that people visiting stores such as cafes and galleries (a wide range of people) were interested in foop, but I found that women’s customers are particularly interested. Based on this, as the next step, Loftwork was the subject and hosted an ideation workshop for women participants. – What kind of things do you do in the workshop? foop Prototype, that is, without showing the thing, I got the idea to do just by the concept of “Future home water crop cultivation”. 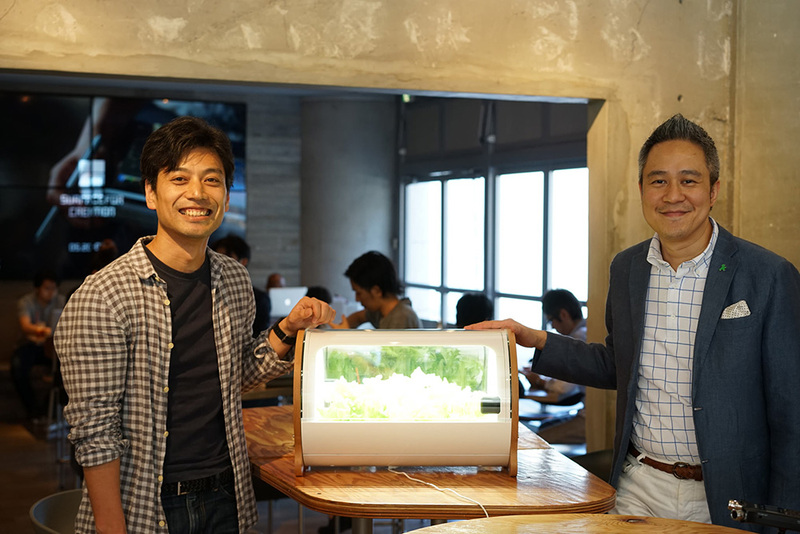 Using “Future” as a key word, “What would you like to do with hydroponic cultivation?” “How would you use it if you were at home?” “How about if hydroponic cultivation is connected to the net?”, Break down one by one I have deepened my ideas. In the workshop, various ideas came out in terms of IoT technology. You also realized that users are seeking more communication functions than expected. Ideation workshop "Hydroponic cultivation + the future created by IoT"
Update new ideas. To the product design phase. Based on the results of field research and the idea that came out in the workshop, we further brushed up the prototype. 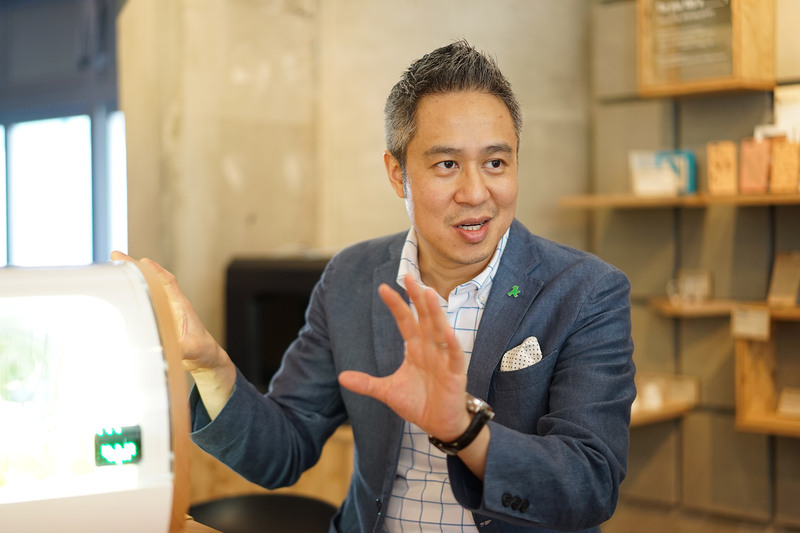 FabCafe was in charge of direction, product design was Hara Kanbara of BARAKAN DESIGN famous for design such as Kadokesi, and mechanical design was done by Techno Labo Inc.
– What is the big change in the prototype after the workshop? It is a completely renewed design. I think that the prototypes before the workshop were not for women so much because of somewhere cosmic or near future design. Mr. Kamihara proposed three kinds of designs, among which I decided to design this round form. Of course, wood used as an idea from workshop was used for design. To be honest, when I first heard a tree, it was not bad, but … it was about feeling. I thought that I like wooden design lovers only in Japan, but I decided to adopt it by actually knowing the high quality timber such as Japanese people’s attention to the tree and Hida. The reason for choosing a round design is because I thought that this design is the most challenging. It is the result of giving top priority to the project’s underlying, venture-minded and challenging new and unprecedented things. 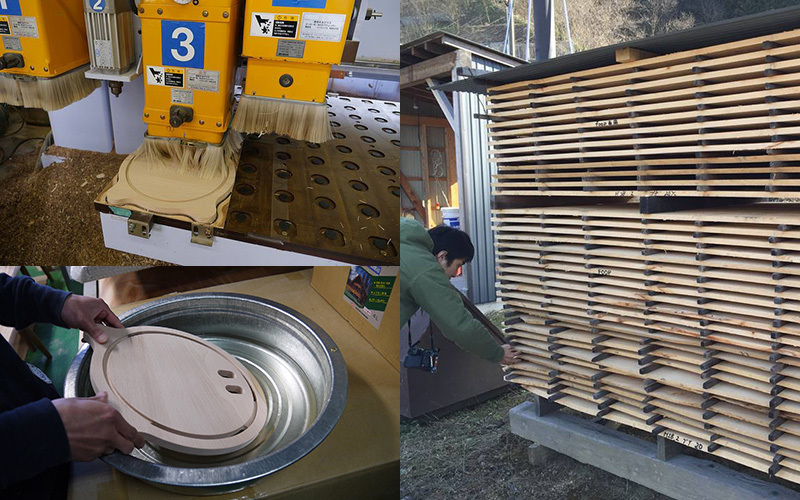 By the way, in order to get Mr. Maverick to know the goodness of the tree , a bear will cooperate with Hida Forest Co., Ltd. which operates Forestry and FabCafe HIDA in Hida City, Gifu Prefecture (Hidakuma) , everyone is Japanese I made the opportunity to touch luxury timber. To know the goodness of a tree, it is best to touch it. From here to the project, to the creation of applications and Web sites. 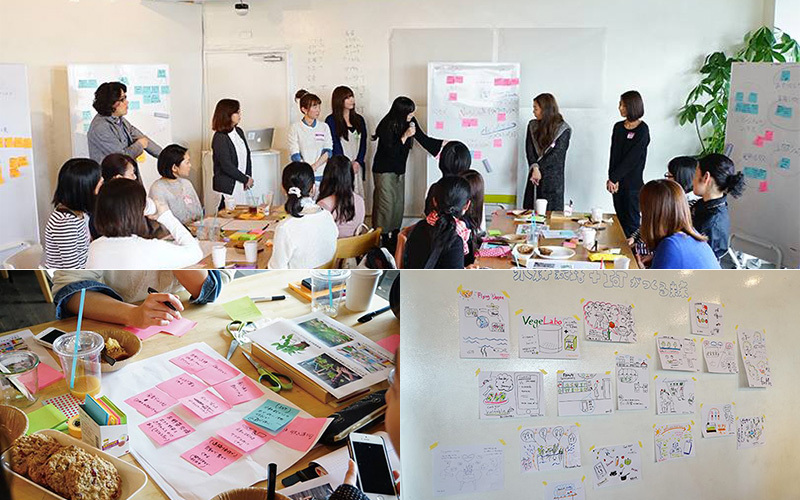 In application development, FabCafe was the leader and held a workshop on UI design using paper prototyping. Loftwork is in charge of web content creation and web construction. T2T for application development, T2T for icon design, Bloombroom Design for icon design, and team with many external partners, from information design to content creation, design and implementation. – How was the reaction after product launch? For the first scheduled sale in April, 50 units were sold in a few hours on the first day, and the remaining 50 units were sold out there in four days. For the second reservation sale, 50 units were sold in one day, but 35 of them were orders within 1 hour of reservation start. Inquiries from overseas are also coming. The French media seems to have picked up foop, and the website has accessed thousands of items from France in about two days. It is diffused also in SNS, and favorable opinion is given. I think people in Delta company are also surprised at this response. – That is a terrible reaction. Then please let me know how you plan to develop foop in the future. First of all, we plan to ship 150 units that have received reservations without fail (laugh). To be satisfied by 150 customers who purchased. And I want to make something that everyone wants all over the world. – Finally, please tell us the hints of creating a new team that you gained through foop project, for those who are challenging new manufacturing. Creative opinion will not come out if there is no environment that can have a flat relationship. Is it not a big difference whether you just do your job or feel like doing what you want to do? Also, rather than giving priority to the delivery date and cost, it is becoming more important to think first what the user is seeking. There is an atmosphere that costs are secondary, even if it is expensive, you can buy what you want. I felt that the foop project was linked to this revolution by just leaving it in the flow and building with many partners and users.